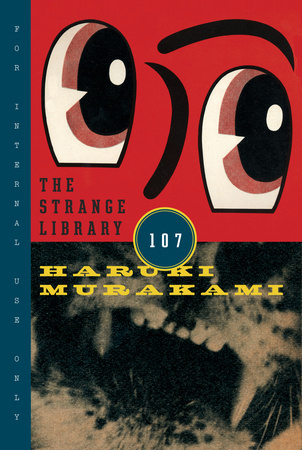 Murakami is a fascinating writer and this is the second or third book of his that I've read. There's an odd rhythm to his stories that is both coherent within the world of the story and strange when one tries to explain it to others. The Strange Library fits perfectly within his canon. The story follows a boy as he discovers the dark and odd depths of his local library after trying to find a piece of information. He is led into the bowels of the library and imprisoned, forced to complete entire memorization of tax accounts of the ancient world. However, he is not alone as he has two companions, whom he doesn't entirely trust that may be able to help him escape. But even if he escapes, is he ever really free from such a strange ordeal? It reminds me of Kafka and The Metamorphosis in that while these things are strange, they remain largely normal within the realm of the story. This is a short novel (really, a short story) but it is accompanied by illustrations that flesh out a bit more of what one catches in the story. If you go in for the odd and curious, this will satiate your appetite. Sign into Goodreads to see if any of your friends have read The Strange Library.